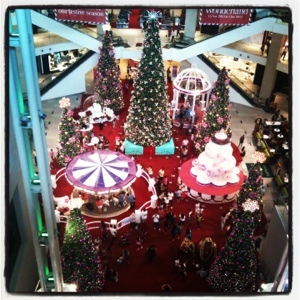 Just a sneak preview of the Christmas decorations of Pavilion KL as seen from the 6th floor. Every end of the year Pavilion KL will come out with really beautiful and elaborate Christmas decorations. This year was no different. Do check out their giant Christmas trees should you be in the vicinity. Here's to a wonderful meaningful Christmas!